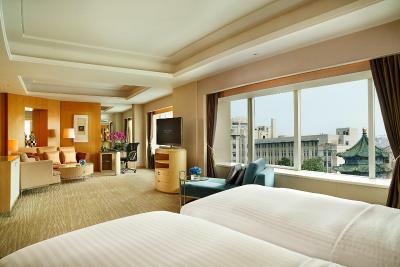 Lock in a great price for Sofitel Xian On Renmin Square – rated 8.7 by recent guests! The restaurants was limited around the area. However we did enjoy the Chinese restaurant at Sofitel, They have good local dishes! location is great, close to scenic spots and CBDs. staffs service are good. my room got upgraded. Location, room and bathroom sizes. Staff mainly the restaurant manager very friendly and kind. 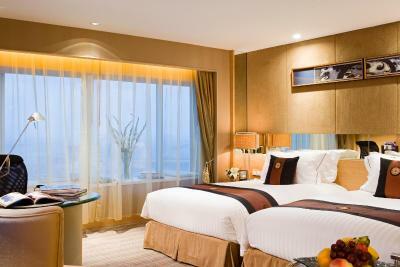 Room was nice, clean and spacious. Turn down service and night with chocolates. Staff at the front desk were very helpful. Location was excellent. Were able to walk to the Muslim Quarter and the Drum and Bell Towers. 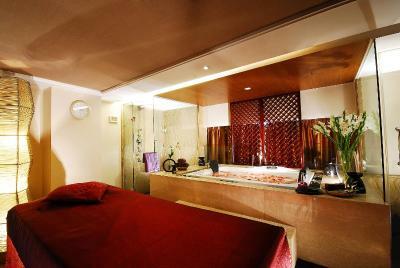 Location, walking distance to Muslim Quarter and city gate. 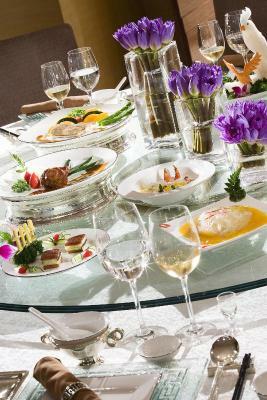 Delicious buffet breakfast with both Chinese and western options. Concierge was very friendly especially Will who wrote us a nice farewell note with a list of things to do in our next destination in China. The staff was friendly and helpful. The location was close to a lot of the touristy sites. Breakfast buffet was good, full of choices. Nicely run hotel with attentive staff, good breakfast and location. Great location. Hotel is a little dated, repairs happening in the halls. Pool was good. 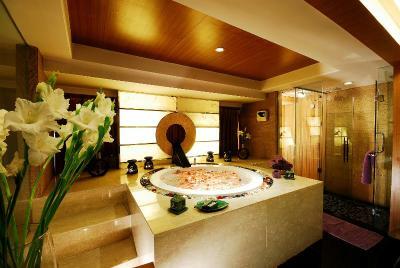 Enjoyed the spa (extra cost). They surprised us with a complimentary birthday cake! Nice touch. 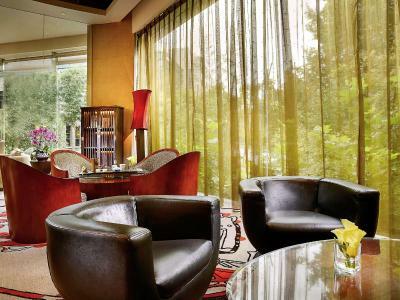 One of our top picks in Xi'an.Located a 10-minute walk from Bell Tower & Drum Tower and Muslim Street, Sofitel Xian On Renmin Square features an indoor heated pool and luxurious spa. It offers 4 restaurants and 3 bars. Wi-Fi is available throughout the property. 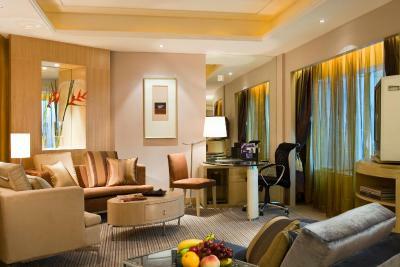 Sofitel hotel is a 5-minute drive from Xi'an Railway Station. 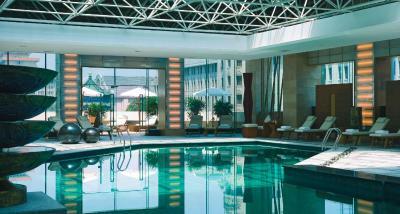 Xianyang International Airport is 40 minutes' drive away. 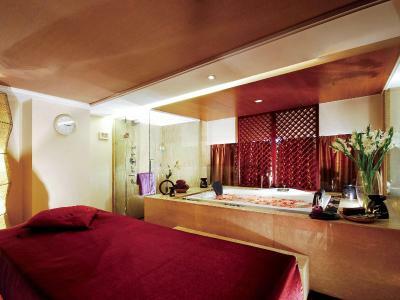 Elegant rooms are fitted with cable TV channels and tea/coffee making facilities. 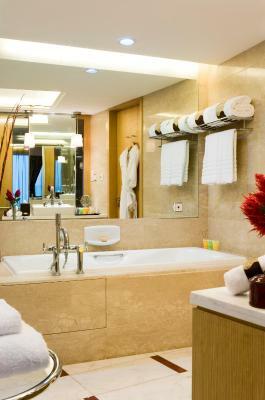 Bathrooms come with a separate rainshower and bathtub. 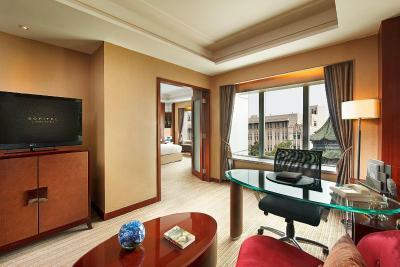 Some rooms offer city views. 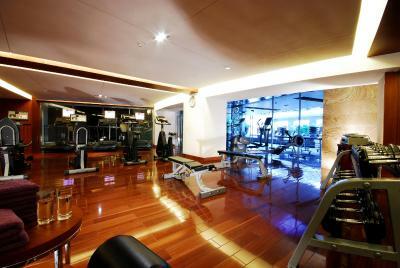 Guests can recharge with a work out in the gym or indulge in massage or sauna services. 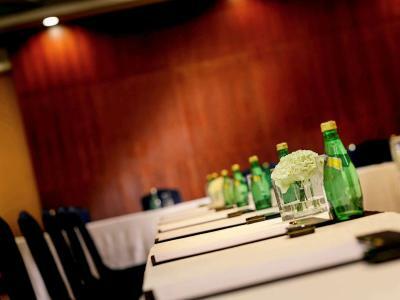 Other facilities include a business center with support staff and free parking. There are several dining options. 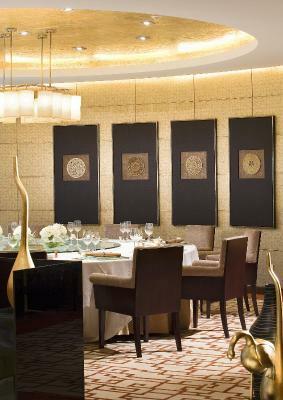 Le Chinois features offers a selection of Shaanxi dishes, traditional Cantonese dishes, Sichuan cuisine and a variety of creative dishes, while authentic Italian cuisine can be savored at Roman Holiday Italian Restaurant. 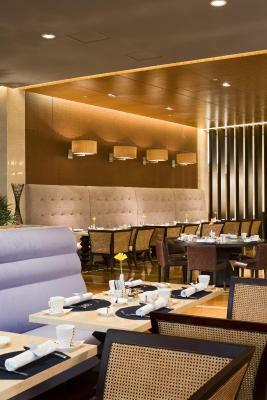 Others include the 24-hour Mediterranean All Day Dining restaurant and KOI Japanese restaurant. 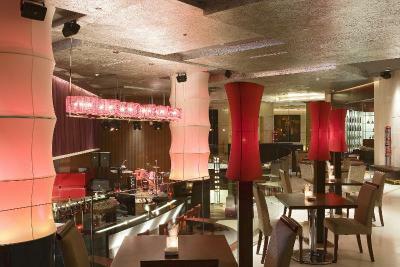 Several on-site bars provide you with places to relax and social. 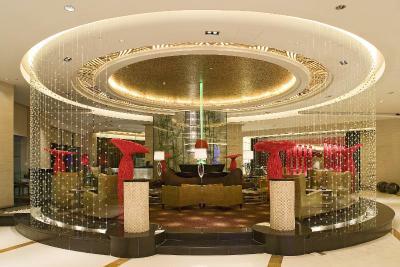 When would you like to stay at Sofitel Xian On Renmin Square? 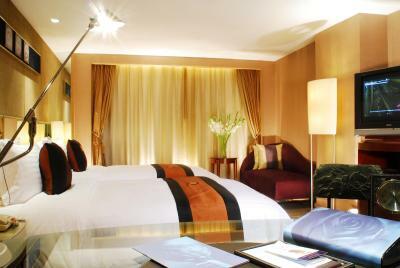 Twin room comes equipped with a TV with cable/satellite channels, minibar and a private bathroom with a bathtub. 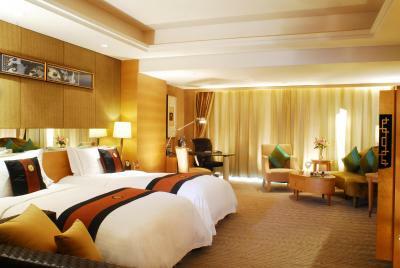 Room comes equipped with a TV with cable/satellite channels, minibar and a private bathroom with a bathtub. Features a walk-in closet, separate living and working area. Overlooks the city or gardens. 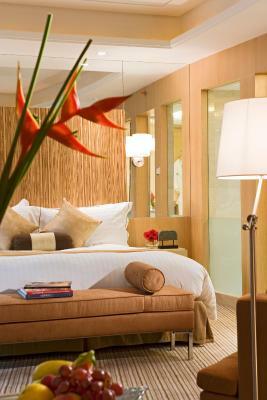 This double room features a seating area, mini-bar and bathrobe. 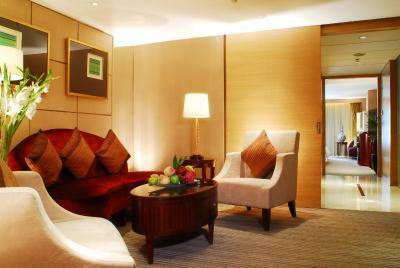 This suite features a seating area, satellite TV and bathrobe. 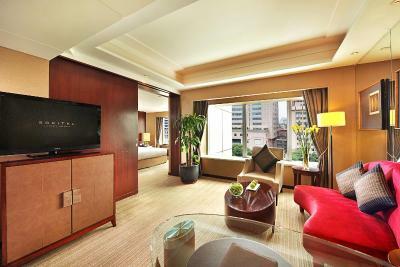 This suite has a seating area, mini-bar and bathrobe. 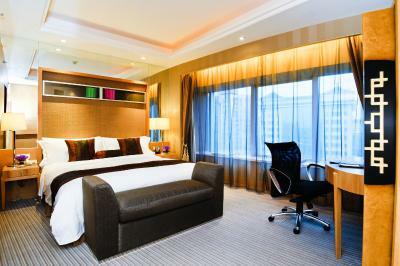 Sofitel Xian on Renmin Square is located in the heart of the Ming dynasty city wall, within walking distance of historical sites, the Muslim Quarter and adjacent to modern shopping centers. 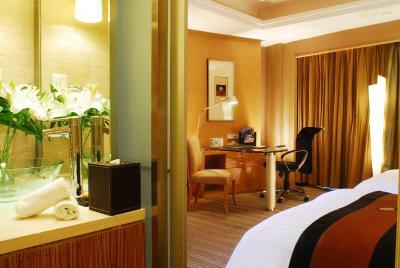 Friendly staff will ensure you experience a pleasant stay. 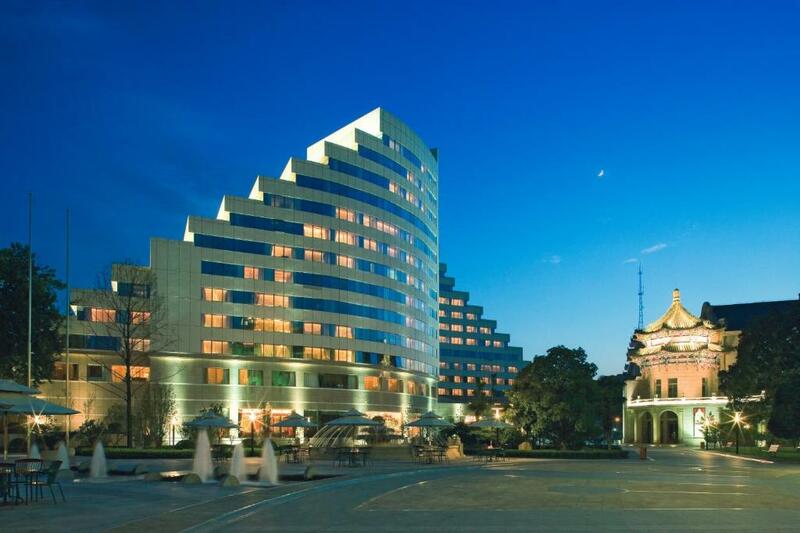 Hotel surroundings – This neighborhood is a great choice for travelers interested in sightseeing, archaeology and street food – Check location Great location - show map Guests loved walking around the neighborhood! 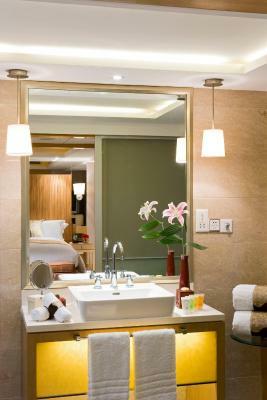 House Rules Sofitel Xian On Renmin Square takes special requests – add in the next step! 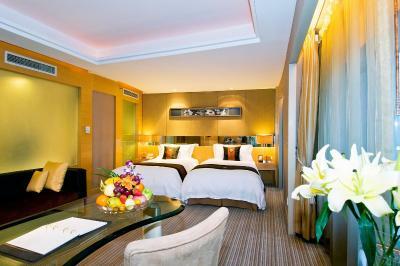 One older child or adult is charged CNY 360 per night when using existing beds. 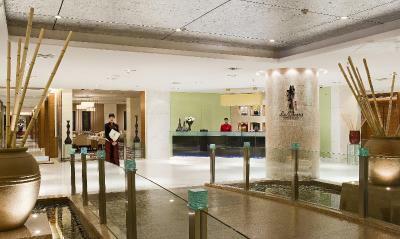 Greatwall Sofitel Xian On Renmin Square accepts these cards and reserves the right to temporarily hold an amount prior to arrival. 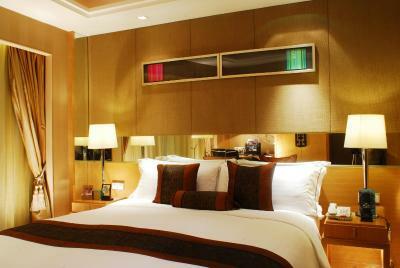 Sofitel Xian On Renmin Square accepts these cards and reserves the right to temporarily hold an amount prior to arrival. Did expect something else from a Sofitel. Layout of the hotel is weird, hallways are dark, no windows and rooms are a bit dark too and not very modern, but ok considering the price. However would not stay there again. The staffs are very friendly and helpful. 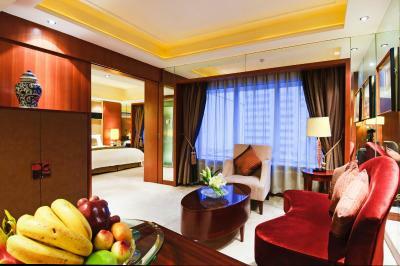 I would definitely stay at the hotel again when I am in Xi’an Next time. Very friendly staff, helpful and competent. Room was very quiet, yet the location was very central. 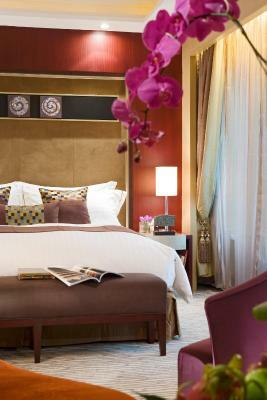 The room was spacious, elegant and the bed big and very comfy. Breakfast was plentiful, Chinese and Continental choices. A takeaway breakfast was available upon request as we had to leave early on our final day. It was my hisband’s bithday and the management surprised him with a nice cake and card. Staff very helpful. We found the beds very hard but staff corrected this very quickly. Restaurant staff fantastic as I have a food allergy. Made sure I was aware of food I couldn’t eat every time we ate. 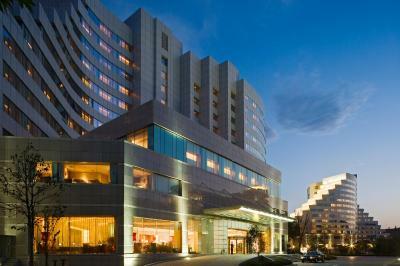 A luxury hotel with amazing staff and a friendly welcome. We were offered an upgrade at a great price on check in. Staff are very helpful. The room was cold, the water for taking a bath was not too hot. It supposed to be provided a shuttle bus to go to the Wall, Bell Tower. They upgraded us to junior suite room. Our dinner buffet were also nice. The hotel is very old and it needs a total renovation. The room had a lot of damages and old staff. The beds are not very comfortable.